How’s the insulation in your house? If you’re like a lot of homeowners, you have absolutely no idea. After all, the insulation is behind the walls or in the attic. You don’t spend a lot of time in those places! Unfortunately, what you don’t know may hurt you. If you don’t have the right home insulation, you could be spending lots of extra money heating and cooling your house. Here’s how to know it’s time to replace your insulation. Do you dread going upstairs because it’s never comfortable up there? It’s a common problem, but it’s not something you have to put up with! 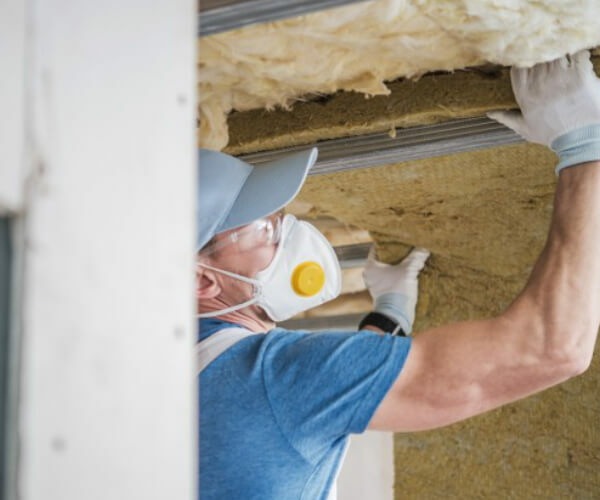 If you struggle with problems keeping the upper floors the correct temperature – or if you have specific rooms that seem to never be warm or cool enough – have a professional inspect your insulation and see if it needs to be replaced. Does the comfort of your home vary from day to day – and seem suspiciously related to the outside weather? If so, you probably have problems with your home insulation. You may be able to have a professional add additional insulation, or you may need the old material removed and replaced. Only an energy audit can give you the answer you need. If there are leaks in your insulation and outside air is getting in, your heater and air conditioner have to work extra hard. This takes a lot of energy, which costs a lot of money. As a result, you’ll see your energy bills climb if you have insulation problems. If you aren’t sure why you’re paying so much, call your energy company. If there hasn’t been a rate increase, it’s probably your home insulation! When you have an audit done, you can pinpoint exactly where the problems are and get them resolved before they cost you more cash! There’s nothing grosser than finding animal droppings around your home. Seeing a live animal streak across your floor isn’t great either! Unfortunately, problems with home insulation in your attic or crawl space can lead to animals finding their way into your house. Squirrels, rats, mice, snakes, bats, and more are not friendly visitors. Instead, these animals cause a lot of damage to your house. From the walls to your food to your personal property, everything can be at risk. And it’s terribly unsanitary as well! If you see signs that you have animals in your home, be sure to check your insulation. There’s no sense in having an exterminator get rid of them if there’s still a way for them to come in! Get the Home Insulation You Need Today! Get an audit of your insulation today. We can let you know what type of insulation you have if there’s damage or settling, and what we can do to help your home be more comfortable all year long. Contact us for help with your home insulation today!